Nice view, good food, but truly disappointing service. Nowhere close to what it should be in a five star hotel. The view is amazing. Shame there is no plants or flowers on the terrace. The food is correct. A bit pricy. Panorama mozzafiato e atmosfera unica!! Use a lounge playlist ...! Excellent food, service and a fantastic view of the sunset over the lake and mountains. But you do pay for it so consider it a place for a treat or special ocassion. Tasty food. Stunning views. Very nice and professional staff. Highly recommended!! Amazing location, great food and impeccable service! Does not make a great first impression when the waitress storms out of the toilet without washing her hands and then serves your food! also portions are really small particularly the fera dish. Formidable, really enjoyed lunch. Will take visitors there. Loved this place. Beautiful location and ambience, excellent food and such nice servers. 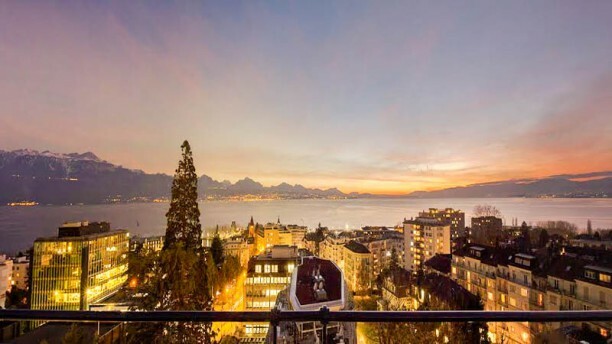 When next we are in Lausanne, we will be back! I like the setting and the food was delicious and well presented. I was dissapointed with not being offered an aperitif upon sitting or a change of plates when we had new dishes served. The staff were nice. Nice atmosphere and service, but half outdoor so cold temperature even when windows are closed.. The service was wonderful and very friendly, a little bit of waiting time between each dish but it went very well with the meal! The collective dish concept was great and the quality of food was incredible. Not much I would change about the experience as it was a very lovely evening.